Sound and Sound Quality can have a huge impact on the success of an event. SCL started in the audio business and it has always been an area of expertise that we love to share with our clients. We provide the best sound technology available to insure your event sounds fantastic. SCL audio systems have been a critical component to concerts, corporate and political functions across the US. Now more than ever, a properly set-up wireless system deployed by professionals has become critical to an artist, presenter or actor's success. We stock industry standard Shure UHF-R wireless systems for pro level applications and unrivaled clarity. Additionally for budget conscious customers we offer Sennheiser G3 vocal and instrument wireless systems. Artists needs to accurately hear themselves to be able to preform at the highest level. We have industry standard stage monitor wedges and in-ear monitors (IEM) to meet artist riders. We have an extensive inventory of digital mixing consoles. We stock the top consoles from manufacturers Avid, Midas, Digico, Yamaha and more to meet artists needs. Along with consoles we have digital and analog snakes of all sizes. SCL is one of the largest provider of RCF loudspeakers in the Northeast. Our RCF loudspeakers offer the newest technology available in the live sound and touring market. SCL and RCF share a common philosophy, “provide excellent products, top-quality performance and responsive service for our customers”. SCL is the largest provider of EAW loudspeakers in the Northeast and one of the largest providers of EAW in the US. Our expansive inventory of high quality loudspeakers allows us to provide scalable audio systems of any size. Along with RCF and EAW, we offer numerous other products from top manufacturers. Active high power line array speaker system ready for large events, indoors and outdoors. The HDL50-A provides sound reinforcement at SCLs largest events. Compact bi-amped 2-way active line array system for medium events, both indoors and outdoors. Dual 18” high power, high output active subwoofer system that sets a new standard in the touring sound reinforcement. This stage monitor is the professional choice for most demanding situations. The voicing is accurate and deep, the sound is transparent in the mids and extremely accurate at very high frequencies. 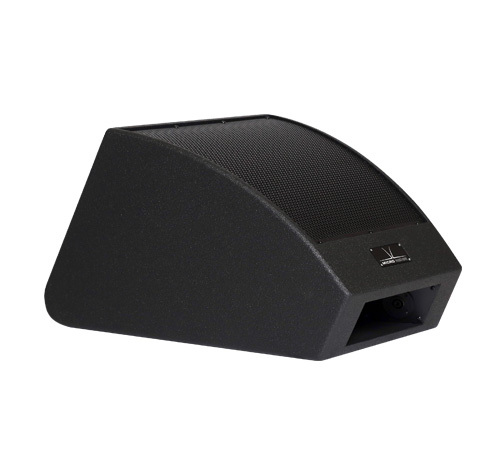 The micro wedge is an industry standard monitor loudspeaker. This stage monitor is used on some of the largest festivals with some of the most demanding artists. As well as concerts, It’s very compact, low-profile footprint make it suitable for TV and video work. The KF740 line array system is optimized for the widest possible range of audio applications. With output capabilities resembling the largest line arrays, and a compact footprint and weight similar to the smallest, the KF740 is the ideal solution for a wide variety of applications. The KF730 line array delivers premium, high output, 3-way performance in an extremely compact and easy-to-use package. standard, accepted in more technical riders than any other loudspeaker. The legendary SB1000z is a high output, large-format subwoofer system with proven performance in complementing high efficiency, full-range loudspeakers. It is designed for portable use where the fatter-sounding output of dual 18 inch drivers is desired.